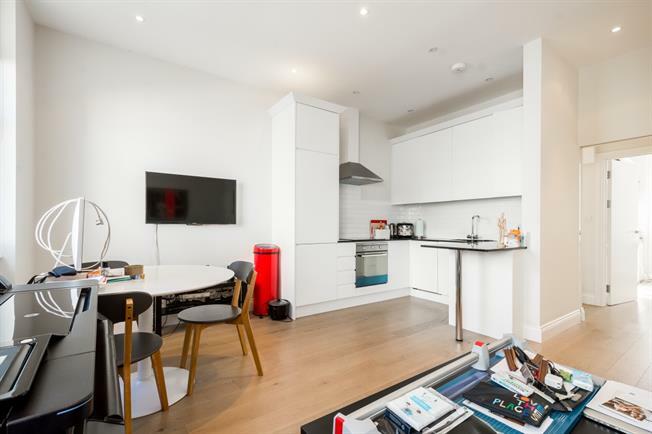 Stunning large two bedroom and two bathroom maisonette in an enviable location moments from Notting Hill Gate tube station having been completely renovated to offer luxury accommodation over two floors with lovely views over Kensington Park Road. The apartment offers a large open plan kitchen and reception space, two double bedrooms (one ensuite), a shower room and extensive built in storage. Pembridge Road is at the centre of Notting Hill Gate moments from Notting Hill Gate Tube station and bus routes. The flat is conveniently located for Starbucks, Pret a Manger, numerous banking facilities, Marks and Spencers, Boots and local independent shops. The property is a short walk to Kensington Gardens for your nearest public park.